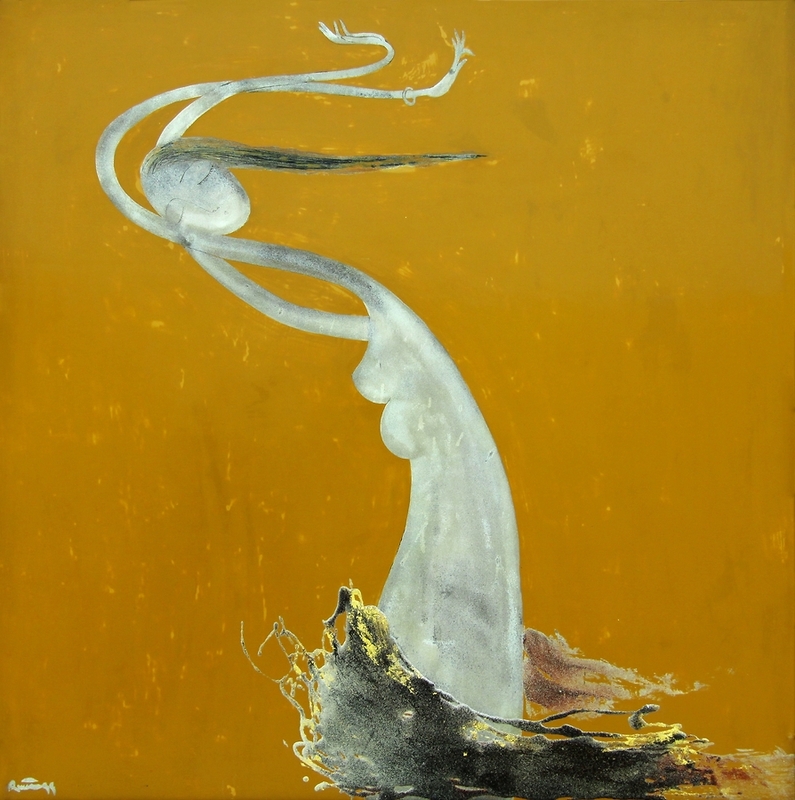 Female figures are almost always at the centre of Dinh Quan’s lacquer paintings. Beautifully refined and sometimes surreal, his work reflects the admiration for, and a preoccupation with women, their shapes, their functions, their movements and their beauty. One segment of his work features women in a poetic, romantic style - showcasing the beauty of female bodies and the positions they assume. They are often depicted with elongated, elegant limbs, striking different poses. The colours are often subdued and the female bodies are formed from silver powder. Source: "Dihn Quan: Lacquer Paintings" published by Thavibu Gallery, edited by Jørn Middelborg.